Following up on the classic children's novel The Saturdays, Elizabeth Enright continues the engaging tale of the Melendy family (Mona, Rush, Randy, Oliver, Father, and Cuffy, the housekeeper) and their move from an old brownstone in New York City to a charming house in the country. Called the Four-Story Mistake for its odd look and confused architectural history, the house offers the Melendys wonderful quirks and surprises. And though they are disappointed about leaving the city, the four children soon become absorbed in the adventures of the country, discovering the many hidden attractions that the Four-Story Mistake has to offer. Don't miss the other titles in the Melendy Quartet. ©1942 Elizabeth Enright Gillham, copyright renewed 1970 Nicholas W. Gillham, Robert Gillham II, and Oliver Gillham (P)2004 Listen and Live Audio, Inc.
Uncomplicated and endearing, Enright's storytelling brings to fruition childhood dreams of making one's mark on the immediate world and surroundings. We listened to this book many times, but we never tire of the Melendy family. Getting to return to these favorite characters as they unravel an old mystery the house has been hiding all while being genuinely and humorously themselves is a treat. Sometimes funny, sometimes sad, but always honest this is a family favorite. The narrator does an excellent job revealing the characters strengths and foibles. Wonderful story and well narrated! Absolutely one of my most favorite children's books of all time. I read it and re-read it so many times as a child. Now my kids have listened to it over and over. Thank goodness Pamela Dillman does a wonderful job narrating the story! 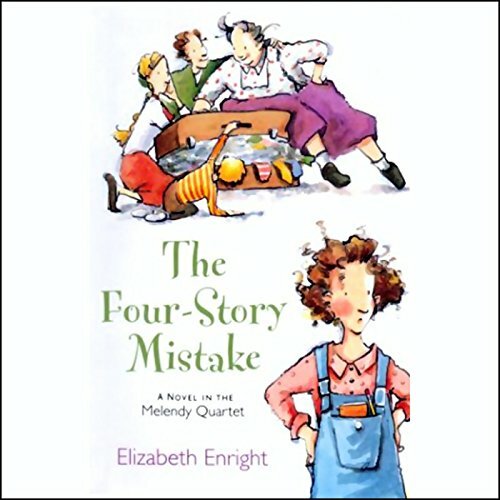 my kids and I love listening to all of Elizabeth enrights meledy family books. we listen every year on our vacation and now they listen daily. mrs. enright did an amazing job, I wish so much there were more.